What’s the best way to spend a cold winter’s evening in Doha? 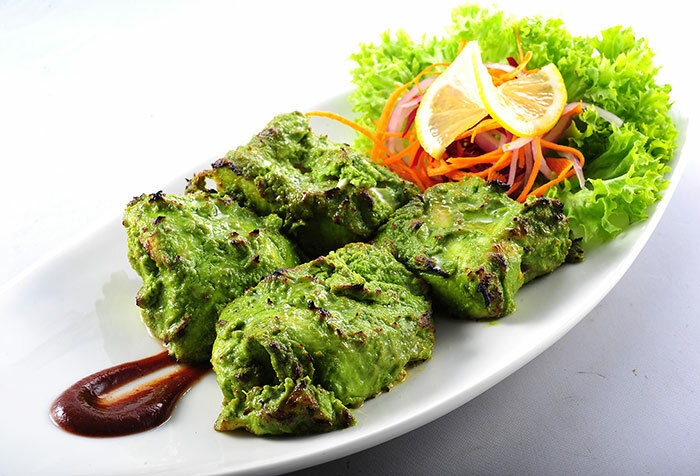 What about a pleasant dinner relishing melt-in-mouth kebabs that are succulent and deliciously cooked? Well, we would say nothing can match them! If you are a kebab lover in Doha, we have got some great news for you. The “Kebab Junction” festival at Royal Indian restaurant brings you an assortment of succulent vegetarian and non-vegetarian kebabs, suiting the season. As part of the festival launch, we were invited to do a dining review on the special menu. Set in one of the quiet corners of “The Mall” on D ring road, Royal Indian is a classy restaurant that is equally popular with Indians as well as with the locals. As we entered the place on a weekend evening, the aroma of grilled meat, seafood and veggies, curling up from the grill was itself enough to set our stomach growling for those. The regular menu has much to offer, but we decided to go with the stars of the Kebab Junction menu. History says that kebabs were invented by medieval soldiers who used their swords to grill meat over open-field fires. According etymologists, the word kebab is derived from the Persian word “kabab” meaning “fry”. Modern day kebabs in India trace their origin to the influence of the Mughlai cuisine in India. Kebabs in India are more or less similar to most other kebab preparations along with their distinct taste, which can be credited to the use of Indian spices. The first kebab we tried was the Murg Burasi Kebab: luscious pieces of chicken kebab prepared with special marination. They were served with vegetables and sauces. What we liked was that these were not overboard with spices and used very less oil or ghee. Second were Mutton Aur Palak Ki Sheekh which, as the name suggests, is mutton mince mixed with spinach and spices. Meat lovers should not miss this one as it has all the flavours you look for in a traditional meat dish. The minced lamb was tasty, juicy and delicious all the way through. For gravy, we had the Chicken Tikka Masala — the dish of savory chunks of chicken in a creamy, spiced, tomato curry sauce — which is as wildly popular here as it is in most other Indian restaurants. Murgh Nagpuri Kebab and Black Olive Chicken Tikka were two variants of chicken, each with its own distinct flavour and taste. Made with well-balanced spice notes, these kebabs are flavourful and done to perfection. Aromatic and moist, the best thing is that none of the kebabs is extremely spicy, although each of these has a well-defined flavour, quite different from the other. And we loved the Murgh Hara Dhaniya. It was tender, boneless chicken smothered with a mixture of finely chopped greens and served with onion, lemon and sauces. For fish lovers, you have Lasooni Machi Ke Tukde, chunks of fish prepared with special herbs and spices. Perfectly smoky with wonderful flavours of roasted garam masala, along with hints of ginger and garlic, this was a beauty. All we can say now is that with the scrumptious “Kebab Junction” at Royal Indian, our evening was fabulously spent with food musings and tasting great kebabs. Yet another example of the breadth and range of Doha’s top-flight restaurants. Royal Indian gives a fine example of sophisticated Indian decor. The prices are a bit higher than your regular dine-outs, but the service is good and the food is, much of the time, quite fabulous. Royal Indian, a member of Lifestyle Group is on Facebook. Contact numbers : 44666876, 666566716.